Domestic workers could get left out of the fast track and even the slow track for citizenship, but there are ways to include them in reform. It’s likely that President Obama will bring up immigration reform in tonight’s State of the Union address. He might reiterate his support for a path to legal citizenship for all immigrants who “get in the back of the line,” with separate paths for high-skilled STEM workers, DREAMers and agricultural workers. Workers in STEM fields and agricultural workers are, doubtless, vital to the stability of our economy. But there’s another group of workers we depend on but apparently don’t value as highly. As I noted previously, the Senate Gang of Eight proposal made specific mention of agricultural workers yet left domestic workers out of its provision for fast-track citizenship—even though a large percentage of these workers are undocumented, yet perform work that is vital to our economy at low wages. Why were domestic workers left out? One big reason is that agricultural employers are just more organized. 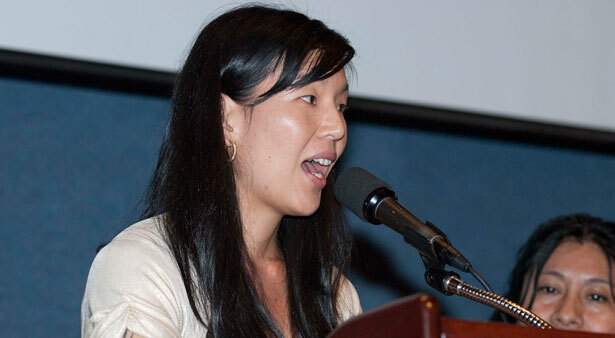 As Ai-jen Poo, Director of the National Domestic Workers Alliance, told me, big business lobbies for agriculture and STEM jobs—in science, technology, engineering and math—“have been very engaged in pushing for immigration reform because of the critical role immigrant workers play in their industries.” Both groups also have a lot of resources at their fingertips. Domestic workers, on the other hand, don’t have similar forces at work for them. “The employer interest in the care workforce is much less organized, and therefore much less resourced,” she pointed out. After all, a lot of the employers are simply private families. Yet the need for these workers is very similar. Domestic workers are just as vital to our economy as agricultural workers. They make it possible for millions of people to go to work and know that their loved ones are cared for. Another argument for a fast track for agricultural workers is that, as Angelica Salas, executive director of the Coalition for Humane Immigrant Rights of Los Angeles, put it, “Crops are rotting in the fields.” There just aren’t enough native-born agricultural workers to meet the demand and ensure the stability of our food supply, and without access to citizenship, employers are stuck between illegal hiring practices and finding the workers they need. Yet the same problem is facing the care workforce. As a report released yesterday by the Institute for Women’s Policy Research in collaboration with Caring Across Generations states, “Currently, native-born workers in the United States are not meeting the demands for long-term care, a situation that is unlikely to change as the demand for such care continues to grow.” In 2008, about 3.2 million people worked as direct caregivers, a number that’s expected to grow by over a million jobs by 2018. Where will we find all those workers? Some could come from current citizens, particularly if this profession is better protected, paid and respected. But many will likely continue to be immigrants. Immigrant women already make up a fourth of the workforce, and it’s estimated that one in five are undocumented. Leaving these vital workers without a clear pathway to citizenship exposes them to abuse, as a recent survey the NDWA conducted of domestic workers found. They’re more likely than native-born workers to be asked to do work outside their job descriptions, to do strenuous work or to work while sick, injured or in pain. Some families may take advantage of undocumented workers and use that status to pay them less and demand more. But Poo has a different take on it. “A road to citizenship for domestic workers also means peace of mind for all of those families” who employ them, she said. “They will no longer have to worry that at any moment, their nanny, housekeeper or caregiver could be picked up and deported.” Just as the agricultural industry and STEM field are interested in filling their worker shortfalls with documented workers, so too are the families who employ domestic workers. As the report also points out, given that women usually bear the brunt of child care responsibilities, they may find it more difficult to attend English classes, thus making it harder for them to meet language standard that might become a requirement for citizenship. They may also need to take time out of employment for care duties, endangering their continuous employment records. Given that domestic workers are 95 percent female, these concerns will hit them square on. Salas also argues that telling undocumented immigrants they have to go to the “back of the line” isn’t a good reform either. “There was never a line for them to get into…All have given their labor and lives to this country and most have waited 10, 15, 20, 25 years without a chance at legal status,” she says. There are plenty of ideas for lawmakers to draw from if they want to fully include domestic workers, however. The IWPR report outlines specific immigration reforms that would reach them. It notes that the current array of temporary visas almost totally exclude domestic workers with the given requirements, and there are so few employment-based permanent visas available for “low-skill” work that there’s a huge backlog for domestic workers seeking to immigrate. The report proposes four potential fixes: a two-step legalization process for undocumented care workers currently living in the country, new temporary special visas aimed at domestic workers, provisional visas open to workers of all skill levels and a point-based system that would allow states to assess their labor shortages and need for immigrants, including care workers. The first option would give workers temporary legal status and work authorization if they can prove they are residing in the United States at the time the legislation is passed and that they are working as a direct care giver. They could then gain legal permanent residence if they complete job-training requirements and continue their work for a certain period of time. Given the frequency of employer abuse, however, there would be a way for workers to certify their employment without relying on employer validation or if they had to leave a bad situation. The second option, temporary special visas specifically for domestic workers, would also allow them to transition to a permanent visa after a certain period of time and after meeting certain requirements. The third option of creating provisional visas, on the other hand, wouldn’t be restricted to domestic workers, but would be open to those with employer sponsors for a three-year period with the chance for portability after a year. They would also have a similar path to legal status as the special visas. Lastly, the state-based model would not rely on employers choosing specific immigrants to fill jobs, but instead allow governments to assess the need and assign those who meet the skills and requirements. States would share this authority with the federal government, which would give each state a number of visas based on demographic and business data. None of these proposed reforms have to work in isolation: all four of them could be adopted together to address the care work shortfall and the vulnerability of our care workforce. But it’s clear that immigration reform, which is so vital to these workers, will fall short if it doesn’t include careful attention to how domestic workers can find a path to citizenship. Our entire economy depends on it. There are some good places for lawmakers to start. Read more about the struggle of domestic workers in last week's issue of The Nation.